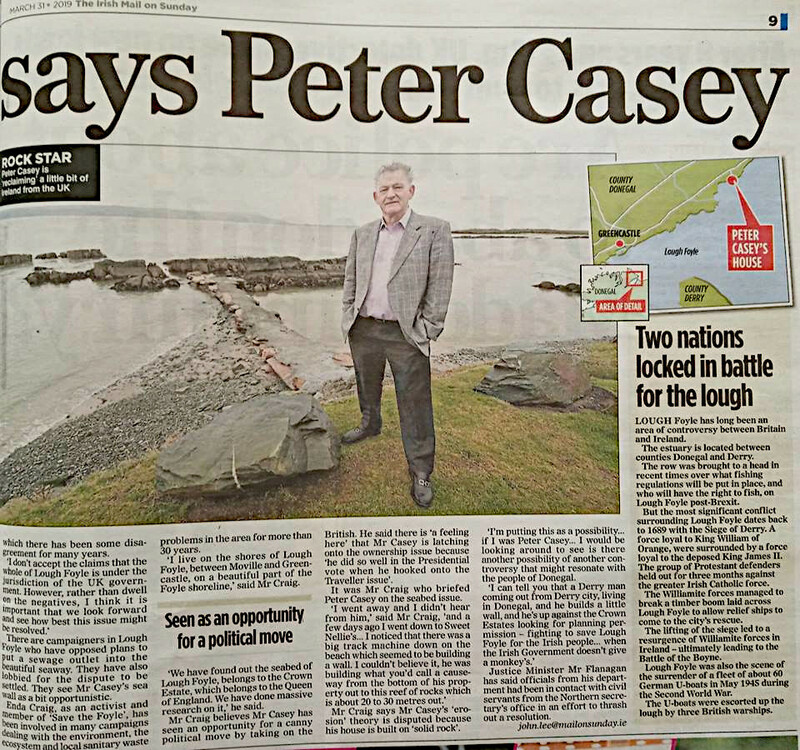 Peter Casey, a European election candidate for Midlands-North West constituency was dismissive of public fears about the health effects of EMF technology, (wireless), when he was approached on Buncrana Main Street by Mary Mack, a member of 5G Awareness Inishowen group. Mary Mack said she bumped into Mr Casey on Main Street, Buncrana last week. She noted he had a 5G sticker on his car so asked him a few questions about it and about his stance on 5G. She told Mr Casey that she assumed that he is supporting 5G from the advertisement on his car. When asked was the technology safe he replied “it's not dangerous.” When she asked him why the Environmental Protection Agency was not doing anything about the technology, Mr Casey replied that Ireland was sold out to the EU. Mary is waiting for a reply from Mr Casey on social media about his official position on wireless radiation. However, later comments he made on Facebook to questions from other members of the group seemed more belligerent or ill-informed. Comments like “sure the same thing was also said about 3G and 4G” and “they should replace it with 10G” were later deleted, but not before some members saved them. Members of 5G Awareness Inishowen have told me that they were blocked from further commenting on, not only, Mr Casey’s Facebook page but also on the page of his election agent Francis Callaghan’s. I assume from Mr Casey’s reference to “10G” that he meant something like bring it on', the more the merrier. It reminds me of Robert Duvall in Apocalypse Now, “ I love the smell of napalm in the morning”. 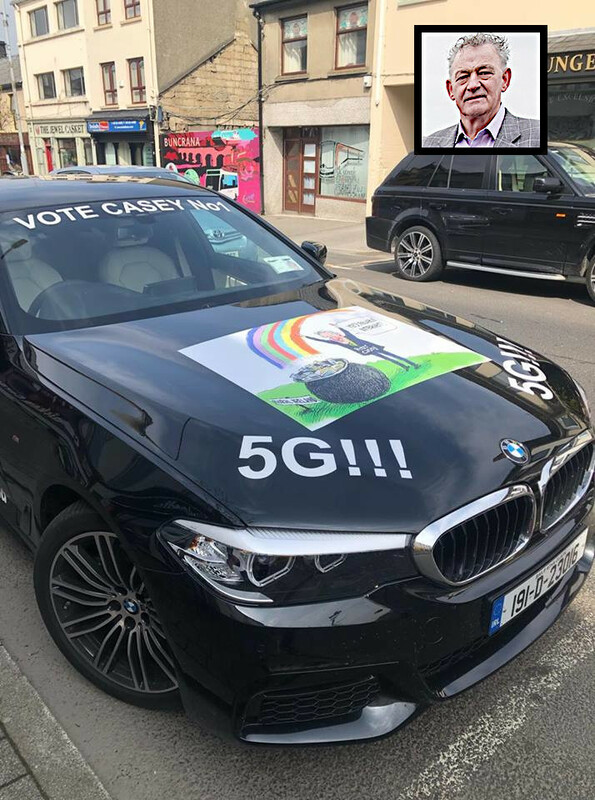 Clearly Mr Casey’s electioneering car has brought the question of 5G into the European election debate. Not only that but also isn’t his off-the-cuff remark ‘ Ireland being sold out to the EU’ highly topical too. I wonder what he meant by it? For the record, could we have Mr Casey’s official position on both these subjects? 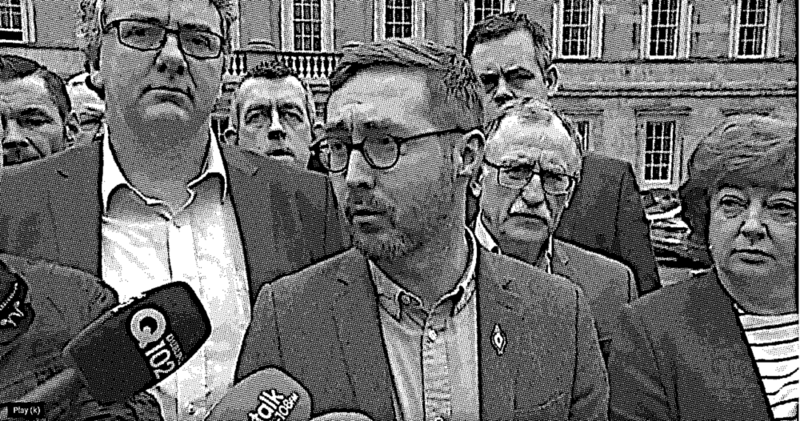 And in the interest of fairness and democracy, could we have the positions of all the Irish European candidates.